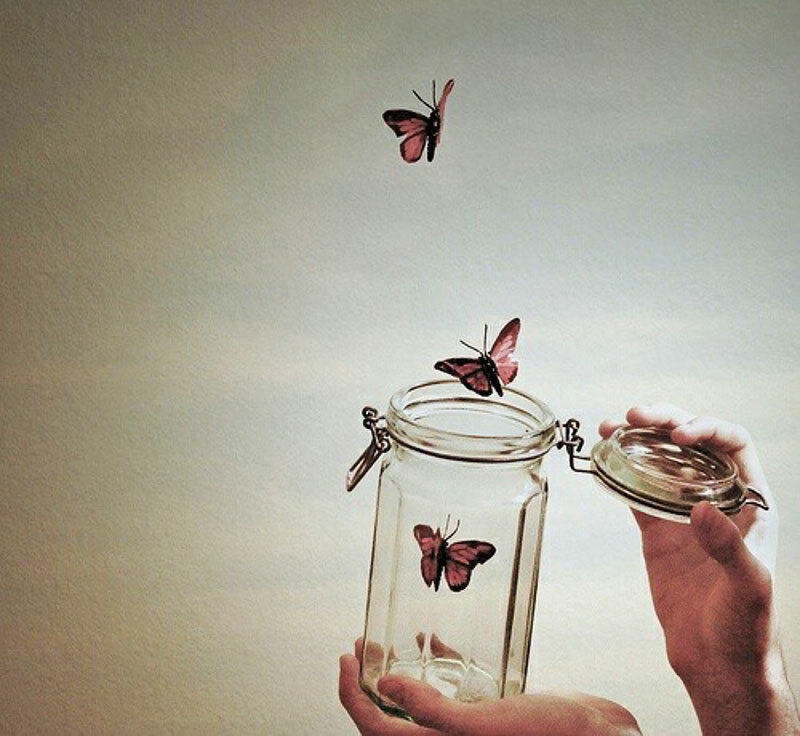 Letting go - it seems to be one of those phrases that gets used a lot, especially in spiritual/meditation circles. "What do you carry in your rucksack?" It really got me thinking about all the 'stuff' I carry with me as I go about my daily business; family relationships, money, career aspirations, all featured to varying degrees. But what does 'letting go' have to do with this? So, with the realization that 'letting go' means something unique to each individual in each unique situation, let me give my perspective. Let's start by talking about what 'letting go' is not. 'Letting go' is not denial (that's a river in Egypt, right...?). It may seem like I'm stating the obvious to many people, but the knowing it and applying it in everyday life can be subtly different. Take the example of an uncomfortable confrontation with a loved one. When one party is uncomfortable at being challenged or talking about a particular subject, "just let it go!" is often exclaimed. But letting go cannot be simply not talking about something. The feelings are still there, unexpressed. 'Letting go' is not the same as 'releasing'. This is an even subtler difference than with denial. Let's imagine that we are feeling angry. Perhaps we also realize that projecting that anger onto others is not the best way to express it, so we go into our bedroom and beat, or scream into, our pillow, or just cry until we feel 'released'. Of course this can feel very much like 'letting go'. We may feel liberated afterward, as if the subject that caused the anger is no longer important. But all that we have done is release the feelings without getting to the root cause of why they are there - in essence, you will still be carrying round the karma. This is usually due to an attachment to a particular outcome. Of course when life doesn't fulfill this outcome then negative emotion is the product. The attachment comes from a fixed view of the world and/or ourselves. Or more to the point, when might 'letting go' happen? You see 'letting go' is not simply something that you do! It's not something you can do. 'Letting go' happens naturally when a person realizes that the particular behavior/object/person/attachment no longer serves their highest good. This realization occurs naturally through awareness and inquiry. There is a process of enquiry and even experimentation when the feelings arise again. The route cause is identified as being within themselves and not coming from the outside world (which is only a trigger). The person realizes that this behavior doesn't serve them. The person releases the pent-up emotion for the last time (often the most powerful). It is important then, to watch for the behavior arising again as we will still have mental conditioning from neural pathways in the brain. Finally, it is important to realize that whatever you were letting go of is also part of your truth, all be it expressed in a distorted way, so a person may look for the aligned expression of that truth - this could be as simple as asking a well-placed question or finding the feeling of wholeness in something that doesn't harm you or anyone else. To begin with the Princess Elsa has an ability that can be both harmful and beautifully creative, but she can't control it when her emotions are strong. So she goes into denial, blocking herself off from the world in an effort to suppress her ability. Then through a series of events her ability is revealed to the world. It is no longer possible to deny, but she doesn't want to hurt anyone, so she flees to the mountains. Then comes everyone's favorite part, right? She is still isolated from the world and her loved ones. The film progresses and Elsa realizes that her strong fear of hurting people with her powers has a root in the feeling of love. She realizes that this is her higher truth. She naturally and effortlessly lets go of her fear and is able to live in the world once more through expressing her gifts in an aligned way.